Combine all the veggies with the quinoa, breaking up any clumps of quinoa as you toss.. Add salt and fresh cracked pepper to taste. In a small food processor, or with a sharp knife, finely mince the garlic and mint. Whisk or pulse in the oil and lime juice. Season with more salt and pepper to taste. 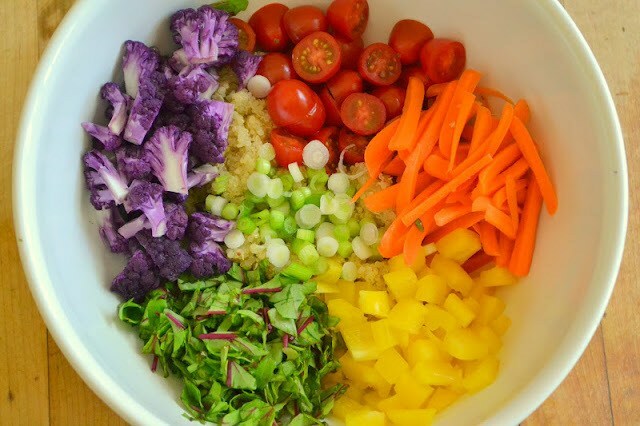 Toss the dressing with the quinoa, and refrigerate until chilled.